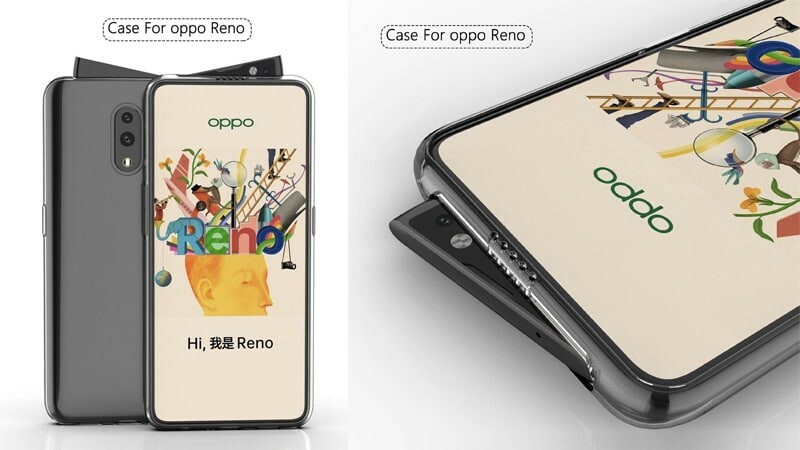 China-based smartphone manufacturer Oppo is all set to launch new ‘Reno’ series of smartphones in China on 10th April and is expected to make its way to other regions soon after its debut. Now, ahead of the phone’s official launch, Oppo Reno Lite’s renders and specifications have surfaced online as it passed through TENAA certification. The listing reveals that the smartphone will be featuring a 6.4-inch AMOLED display Full HD+ display with 1080 x 2340 pixels screen resolution. The phone measures 156.6 x 74.3 x 9.0 mm and weighs in at around 185 grams. Under the hood, the device is powered by an octa-core processor clocked at 2.2GHz which is likely to be Qualcomm Snapdragon 710. Oppo’s VP has already confirmed that at least one variant of the phone will come powered by SD710 SoC. It runs ColorOS 6 based on Android 9 Pie OS. It is expected to be available in two options based on the memory configuration — 6 GB RAM + 128 GB internal storage and 8 GB RAM + 256 GB internal storage. As for the camera, it will be equipped with a 48 MP main sensor + 5 MP secondary sensor on the back side. The front-facing camera will be of 16 MP and will be housed inside a pop-up mechanism and the display won’t have any kind of notch on top. The TENAA listing also reveals a 3680 mAh capacity battery with fast charging support and an In-display fingerprint sensor. Launching on 10th April, the Oppo Reno series is expected to be available in four different color options — Sea Green, Midnight Black, Pink, and Nebula Purple.